Hi, Please could you give me a quote for a house clearance in Keswick. The house is a two bed terraced (over three floors). We’d like to know a price inclusive of VAT, how many people would normally be sent on this type of job and whether there are any additional costs for removal of items such as fridge freezers. 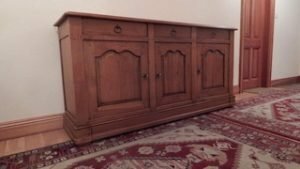 The bulkiest items in the house are washing machine, dryer, tall fridge freezer, wardrobe units (some which are an attic room which will need dismantling to remove), suite and some single beds. A white and silver Beko 9kg under counter condenser dryer. 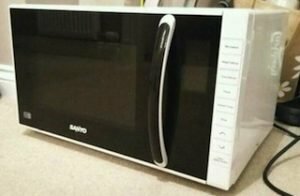 A black and white Sanyo 20L microwave oven. 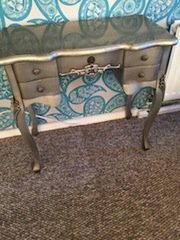 A painted silver heavily carved solid wood dresser, having two drawers to either side of a central drawer. A solid pine ladder back single bed frame, together with a white single mattress. 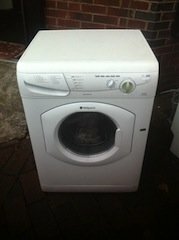 A white Hotpoint 7kg under counter washing machine. 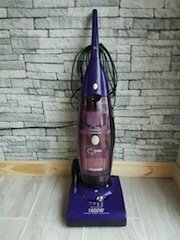 A black and purple Hoover 1600W upright vacuum cleaner. 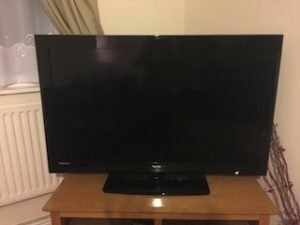 A black Technika 50 inch flat screen television with built in free view. 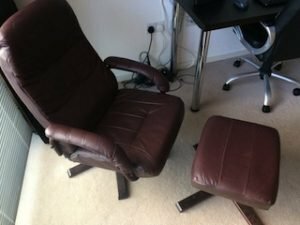 A solid wood framed high back swivel armchair and matching footstool, upholstered in chocolate brown faux leather. 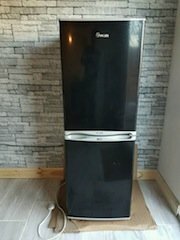 A tall standing black and silver Swan two door fridge freezer. 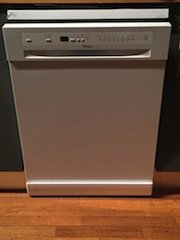 A white Whirlpool ADP8693A under counter dishwasher. 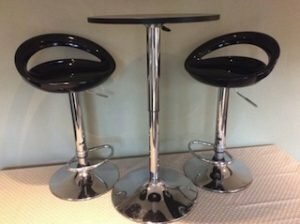 A high gloss black and chrome circular breakfast table, together with two matching breakfast bar chairs. 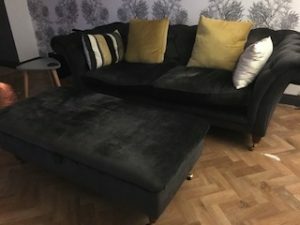 A two seater button back sofa and matching storage foot stool, both on solid wood legs with brass castors, upholstered in black velour. 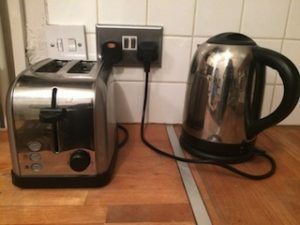 A black and stainless steel Russell Hobbs kettle, together with a matching two slice toaster. 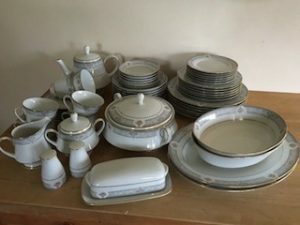 A large Noritake China dinner service, includes a teapot, teacups, a milk jug, salt and pepper shakers, a casserole dish, dinner plates etc. 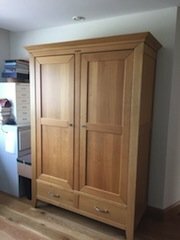 A large tall standing natural oak double wardrobe, having two chrome handle drawers to the bottom.